Track in over 175 countries for one low price! "One SIM"
100% web-based GPS fleet tracking…no software to install. 100% web-based GPS asset tracking…no software to install. 100% web-based wireless GPS tracking…no software to install. 100% web-based satellite tracking…no software to install. Perfect for tracking in remote areas without cellular coverage. From consumer vehicles driven by teen motorists, to large commercial trucking fleets, millions of vehicles move throughout the New York Metropolitan area on a daily basis. Our products and services provide the peace-of-mind that consumers need, and the actionable intelligence that businesses require to truly impact and drive the decision-making process. From public and private fleet tracking to the monitoring of mental health patients, EZ Riders understands and can deliver an integrated solution, tailor-made to your specific needs. Our cutting-edge software and devices are poised to make a difference. The web-based IntelliMatics™ GPS Tracking System is uniquely adaptable to commercial and govt fleet monitoring, consumer vehicle tracking, covert vehicle surveillance, and personal GPS tracking of individual people. All of this flexibility, and more, is at the fingertips of our clients across the New York Metro area. Contact us Today! GPS tracking in over 175 countries using a single SIM card – Only $19.95 per Month! 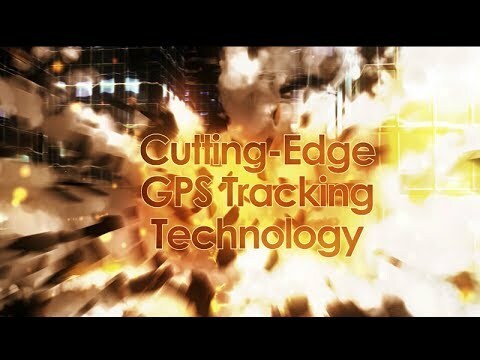 The Geo-Trax family of cutting-edge GPS tracking devices. Fleet Tracking, asset tracking, vehicle tracking, and more. U.S.-based tech support and order fulfillment. The Geo-TraxIR goes the next step in solid GPS tracking capability and connectivity. With a sleek and compact design, the IR packs 1 ignition input, 1 additional input and 1 output, as well as a panic feature for PTO usage. So there’s no need to choose which feature serves you best: with the Geo-TraxIR, you can now have it all! The Geo-Trax is a high-value fleet tracking device featuring a small size, superior performance, 3-axis accelerometer for motion and tilt sense, and 4 inputs/4 outputs (I/O). Our technology is expertly delivered with flexibility and precision. The ultimate tracking experience. Contact us Today for More Info! A wireless, battery-powered device, the Geo-TraxMICRO Pro does it all! The MICRO Pro is capable of covert vehicle surveillance, remote asset monitoring, high-value asset tracking, anti-theft applications, and much more. Available as a stand-alone device, or with Slap n Track external battery kit (Pro Version). 100% web-based GPS tracking…no software to install. Interactive digital mapping that truly impacts the decision-making process. A best-in-class reporting suite provides instant, actionable intelligence. State-of-the-art fuel management tools that dramatically impact fleet performance. Manage an automated preventative maintenance program. Improve the fuel efficiency, performance, and shelf-life of your vehicles. Secure high-value remote assets against tampering and theft. Mitigate risk. Get a big picture view of asset activity and assess your strategic approach. Don’t forget to ask about our 24/7 on-site installation service – Simply Amazing! From vehicle fleets to remote assets, the IntelliMatics™ GPS Tracking System can do it all! Track mobile & fixed assets in 175+ countries across the globe for one low monthly price! Unlimited reports & SMS text alerts! No Contracts and No Overages! Our technology is expertly delivered with flexibility and precision. The ultimate tracking experience. Contact us today to learn more! Track mobile & fixed assets in over 175 countries, using only One SIM, and for one low monthly price! Gain greater insight into real-time location and movement information, access reports, alerts, and more.! Gain complete control over fleet vehicles, assets, and personnel. Streamline costs and drive profits! Manage a diverse mix of vehicles, assets, equipment, and personnel in one unified platform. From monitoring fleet vehicles to covert surveillance, our tracking devices are cutting-edge, flexible, and adaptable. Our web-based mobile apps are offered as a complimentary, value-added service to clients. It’s the EZ Riders difference! Designed and built as the most adaptable platform on the market, EZ Riders deploys the IntelliMatics™ GPS Tracking System. The portal combines the power of a cellular-based GPS tracking system and wireless networking capabilities that seamlessly track mobile vehicles and monitor high-value remote assets. GPS stands for Global Positioning System. Each Geo-Trax™ device has a small antenna that receives signals from a constellation of 32 GPS satellites. Using the timing of signal reception from multiple satellites, the device calculates its own position, speed and elevation. Civilian GPS signals are transmitted free-of-charge by the U.S. Government. Each Geo-Trax™ device combines an integrated GPS receiver and a wireless modem. The radio transmits GPS-calculated positions back over a wireless network. Location and course data is then uploaded to the Network Operations Center servers. Authorized users monitor vehicle movement on maps and reports displaying route information, stop location/ duration and other valuable information. Is Your System Appropriate For Any Size Fleet? Yes. The IntelliMatics™ System does not require any out-of-pocket investment in servers or related GPS tracking software. Our systems are equally cost-effective for one vehicle to one million, and a rapid ROI is a virtual certainty! What Hardware or Software Is Required? The hardware consists of one of our Geo-Trax™ devices installed within each mobile or fixed asset you want to track. If wired into a vehicle, negligible power would be drawn from the vehicle’s own electrical system. If the selection were a wireless Geo-Trax™ solution, the device would operate on its own internal rechargeable battery or extended battery pack. The device will consist of an integrated GPS tracking receiver, antenna, plus a wireless data radio module connected to a cellular antenna. Software (SAAS) is a secure suite of web pages, that we provide, accessible to authorized users only, available on any PC running Microsoft Internet Explorer 8.0 or later. The IntelliMatics™ System is also accessible through most web-enabled iOS and Android mobile devices. No other hardware or software is required. What Will It Cost To Start Tracking My Vehicles? Good question. All of our competitive pricing is clearly advertised on each respective device and service plan page. We always offer volume discounts, so please contact us today at (516) 539-9000 if you happen to have questions. We look forward to hearing from you! How and When Do You Ship?